Best RV AC unit is an indispensable appliance that could bring you comfort with cooling air in summer camping trips. 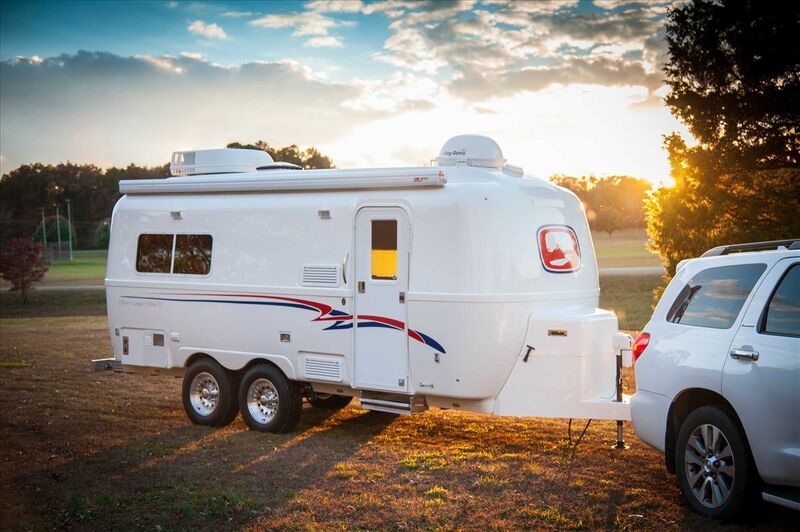 And, to all RVers, RV air conditioner not blowing cold is a troublesome issue, especially if the vehicle is exposed to high temperature and blazing sunlight. In that situation, everyone wants their A/C to get back to work as soon as possible and calling the repairman is a good idea. However, in many cases, it’s not too difficult for you to solve the issue on your own and save some money for other needs. 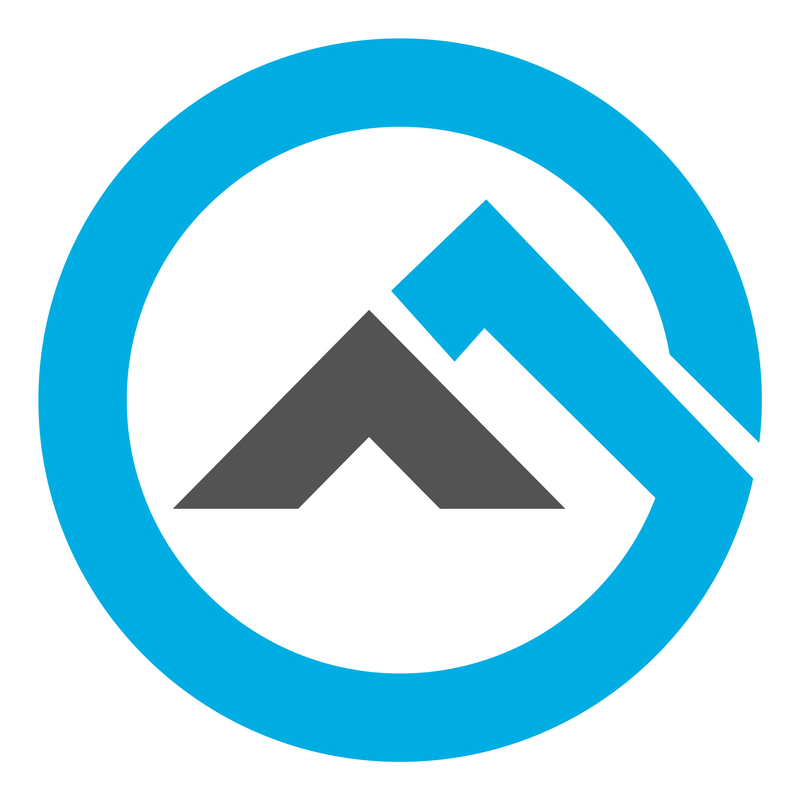 Don’t know much about air conditioner repair and maintenance? 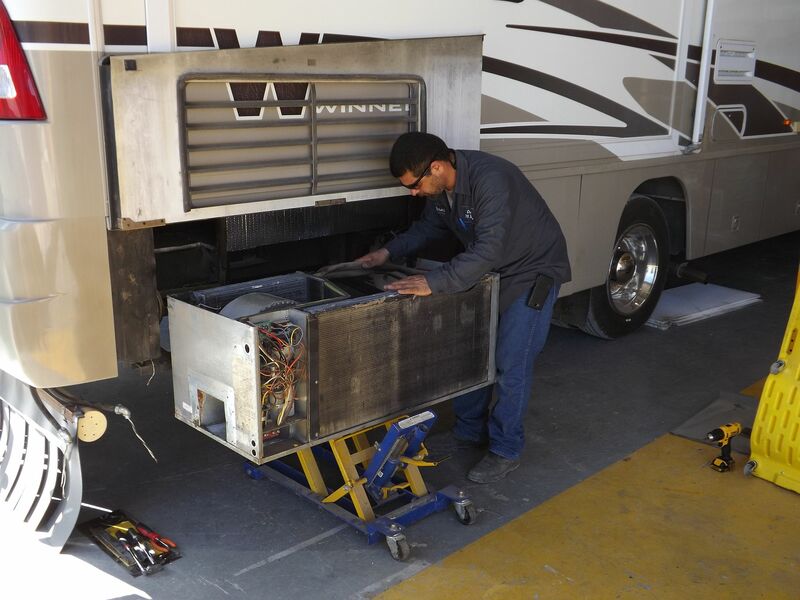 If that is the case, you could learn how to troubleshoot and take care of common RV A/C malfunctions just by reading this article. Important Note: It’s obvious that you don’t need to be an expert on air conditioners to troubleshoot A/C and carry out repairs. Nonetheless, it’s essential that you have some electrical knowledge and suitable gears in order to ensure safety and preserve the integrity of your machine. In the case you have very little confidence in your skill, it’s strongly recommended that you let someone else take care of the repair. The repair service would cost you but it’s should be much cheaper compared to buying a brand new machine. RV air conditioner not blowing cold? Well, one of the first things you should check out is the power panel. A blown fuse or a tripped breaker would starve the air conditioner of energy and cause it to stop working. Air conditioner requires a lot of power and if it draws more than the system could handle, the fail-safe mechanism would be activated. For example: Nowadays, recreational vehicles could possess multiple power-hungry A/C that proves too much for campground power supply. Using all of the air conditioners at the same time would cause the RV fuse as well the breaker to kick into action (blow/trip). To get your air conditioner operational again, here is what you should do: For the fuse, replace the blown fuse with a new one to reconnect the power supply line. For the circuit breaker, close it to resume normal operation. In general, running into a blown fuse or a tripped breaker every once in a while is not exactly a problem that requires special attention. However, if the fail-safe mechanism got activated repeatedly in a short period of time, it could be a sign of a serious power problem. In that case, the best course of action to take is to call a professional. 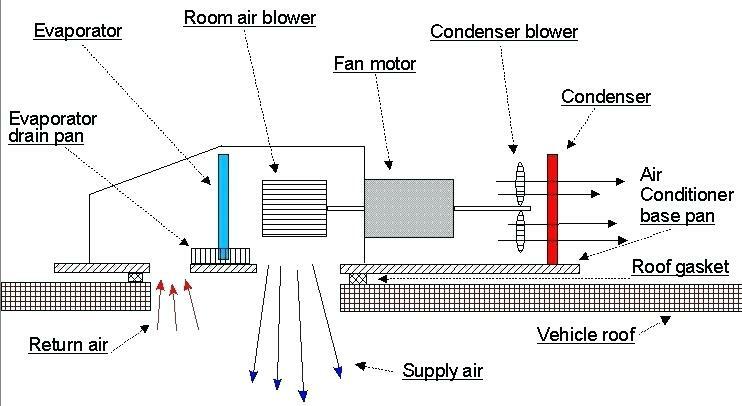 RV air conditioning function diagram. If you conclude that there is nothing out of the ordinary after examining the power panel, the next thing to check is the starting capacitors. The purpose of the capacitors is to give an extra boost to the compressor and fan motor of the air conditioner when the machine starts. That is why a faulty/damaged starting capacitor could be the real reason behind “RV air conditioner not blowing cold“. A starting capacitor could also go bad as time passes, especially if the air conditioner hasn’t been used for an extended amount of time. Fortunately, it’s quite simple to replace air conditioner capacitors, all you have to do is to purchase new ones that have the same ratings. While replacing the capacitors, you must remember not to touch the terminal with your bare hands and exhaust the old capacitors electricity before final disposal. To determine whether a starting capacitor is faulty/damaged, a multimeter should come in handy. A functional capacitor should return a random value on the multimeter which decreases as you keep the probes in place. In the case the capacitors seem to be working fine, it’s time to take a look at the air conditioner compressor and the fan. A fan malfunction would mean there is little to no air (A/C unit running but no air through vents). In the other hand, a compressor malfunction would inevitably cause hot air to come out (RV air conditioner not cooling). As a result, compressor and fan malfunction could easily lead to the issue of “RV air conditioner not blowing cold“. Occasionally, you may spot signs such as smoke and leak oil when either or both of these components go bad. Fan motors often have a hard time running due to a lack of lubrication so oiling is an excellent solution. If the fan remains slow after the oiling, more delicate repairs would be needed but this is when you have to consider the economic factor. There are 2 types of fan motor: One with exposed bearing and one with sleeved bearing. The former could be rebuilt at a relatively cheap expense but it’s not economically sound to repair the latter. In the case you don’t have the time and patience to repair the fan motor, you could order a new one from the store. For the compressor, it’s usually not worth the effort to perform repair which means you should ditch the unit and buy a new one. In most of the case, the compressor of air conditioners would likely outlast the warranty. Service The Fan Motor Periodically: Every once in a while, you have to remove the air conditioner shroud and proceed to oil the fan motor. Exposed bearing motors often have convenient oiling ports at each end of the unit but you may have to remove the metal sheeting and a few screws to access them. In contrast, sleeved bearing motors don’t have such oil ports, instead, you need to oil the shaft where the sleeves enter the motor assembly. You should use this opportunity to gently and thoroughly clean the fan surface as well. Cover The Air Conditioner Unit: While the unit is not in use, it’s recommended that you cover the A/C to prevent debris, insects, rodents and on from entering. 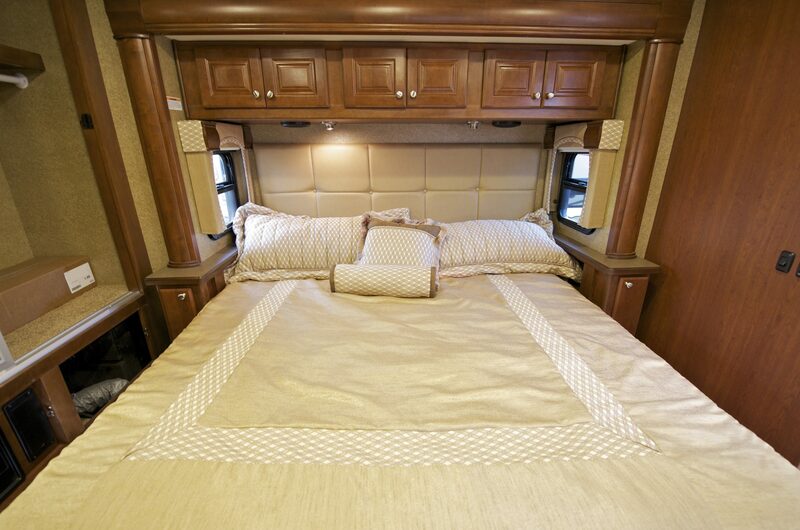 There are affordable purpose design covers you could use and they would extend the lifespan of the R/V air conditioner. Every now and then, you should turn on the A/C to inspect its condition and that would also keep the capacitor in working order. Solve All Malfunctions At Once: Issues like “RV air conditioner not blowing cold“, “A/C unit running but no air through vents” and others must be solved as soon as possible. To keep using the A/C in a less-than-ideal state is nothing but a waste of electricity and may even cause additional damages. As always, don’t forget to take into account the economic factor: If the repair expense is roughly equal or more than half the price of a brand new unit, just get a new machine.